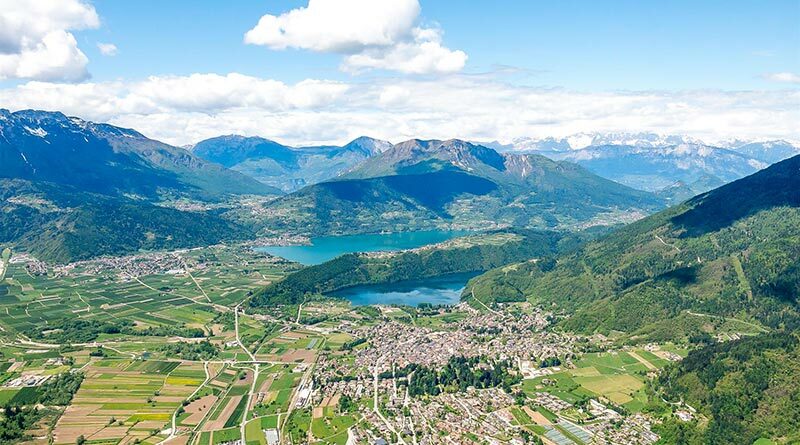 Lesser known than the epic climbs and the most spectacular adrenaline-pumping single track trails, you can also find a gentle Italy, the lakes. In fact, the country is full of many bodies of water that spellbind the hearts of not only us Italians but also of artists, writers, musicians and even Hollywood celebrities. We have chosen 5 in geographical order (not rankings) from the North to Central Italy. Jump in the bike saddle, it is time to explore! Both Alpine lakes located in the Puster Valley are so beautiful that they leave you speechless. According to many, Lake Braies is one of the most beautiful lakes in South Tyrol and is often compared to an artist’s masterpiece for its infinite beauty. The whole tour will not take very long, in fact the cycle round the lake is 4 km. For this reason, we suggest starting the tour from Cortina or Sesto. The Dolomiti superbike race is held in Braies, a real cult for fat tyre lovers, another reason to start planning the next mountain bike holiday. As well as Lake Braies in the Puster Valley, there is Lake Dobbiaco (Toblacher See in German) which borders the Tre Cime and Fanes-Senes-Braies nature parks. You can easily reach its 1259m asl starting from San Candido thanks to its entirely cyclable path. 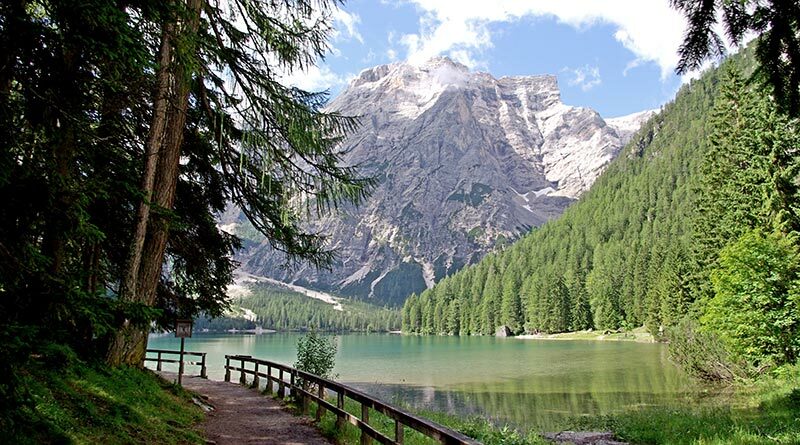 If we were to briefly describe this itinerary, we would say “it takes only once to be mesmerised” In fact, Lake Tovel is hidden away between the peaks of the Adamello brenta nature park 1178 m asl, and is able to overwhelm you with its incredibly clear waters of blue and green colours. Starting from Cles, there is 32 km to Lake Tovel with an ascent of about 1100m through dirt roads, single track and some asphalted stretches. You will cycle through the majestic scenery of the Brenta Dolomites and the valley of the lake with a captivating landscape that is able to capture even the most demanding biker. 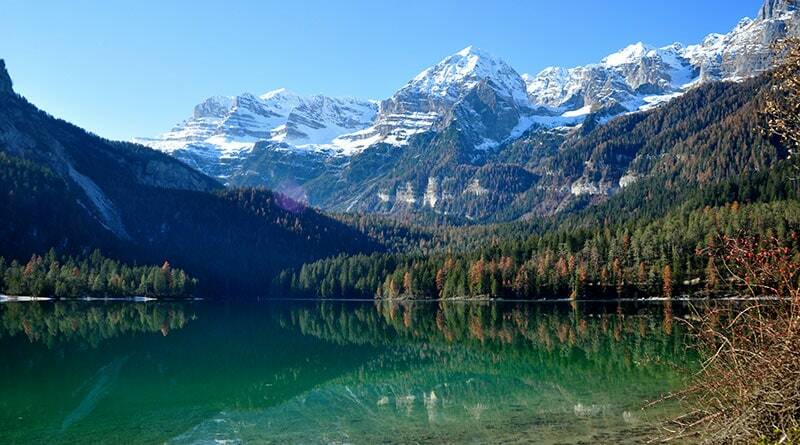 They are two of the most famous lakes of Trentino, just a few kilometres away from each other. An ideal starting point with your mountain bike is undoubtedly Levico Terme. In fact, from here you can choose to cycle the easy route along both lakes or if you are energetic enough, you can take the most famous Kaiserjager (path of peace) and admire both lakes at an altitude of about 2000m. From the Dolomites to Central Italy the scenery changes dramatically, but what doesn’t change are the emotions and feeling of tranquillity that you can experience cycling along the shores of Lake Bolsena. We are in Lazio not far from the eternal city: Rome. The route that we recommend is on the slopes of the volcano from which the lake originates and is always below 1100m. 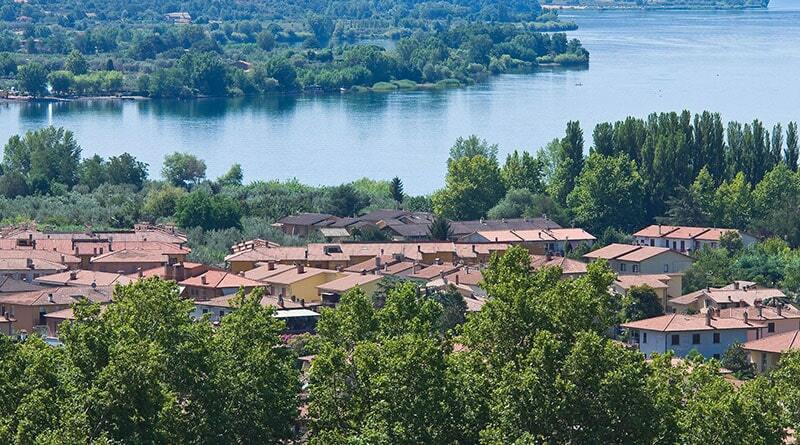 The scenic road along the lake is fairly flat, the most challenging part is the road that goes up to the village of Montefiascone (about 4 km). If you want to avoid this steep part, you can go to Marta towards Viterbo. Off we go!